Our home is probably the most expensive and most precious belonging which we have. We spend considerable amount of time and money planning to buy one and then making it into a "home". Also, it is usually a once in a life time option for most of us and surely we want to ensure that our asset if completely secure. We may not be able to afford a second home or even have the resources to rebuild our existing home in case of any loss. 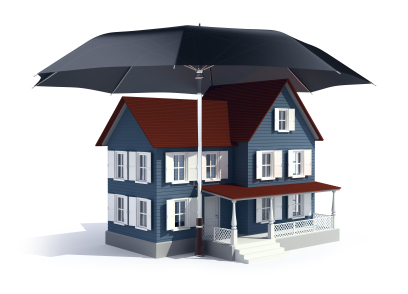 That's where home insurance can be a very useful instrument to safeguard our belongings. Our home, its content and other risks associated with it can be made completely secure with a good home insurance policy. In case of any eventuality, we can be fully assured that the financial loss would be taken care of. Home is where our heart is. So why not take good care of it? Get affordable home insurance quotes at MyInsuranceClub and get your abode insured at low costs! Householders or homeowners insurance, commonly known as home insurance, is the type of property insurance that covers private homes and various contents in it against a variety of risks. This insurance policy combines various insurance protections such as losses arising due to damage to one's home and/ or its contents, loss of personal belongings or possessions of the homeowner and liability arising out of accidents that may happen at home. The policy document clearly lists down what will and what will not be paid in case of any unforeseen event. The cost of home insurance usually depends on the cost one would incur to replace the house or its contents as covered under the policy and additional insured riders. The coverage amount under the home insurance policy for the structure of the house is based on the reinstatement value. Very simply put, it would be the reconstruction cost of the house in the event of any loss and/ or damage arising due to any of the insured events like Fire, Storm, Riots, Flood, etc. Broadly, the home insurance policy covers the building structure and contents, loss due to burglary/ theft, loss of jewellery or valuables, baggage loss, damage or loss of domestic and electrical appliances, damage to electronic equipments and other belongings like Pedal cycles, etc. What are the Exclusions in a Home Insurance? The usual exclusions are willful destruction of property, any loss or damage to any property that is illegally acquired, kept, stored which is subject to forfeiture, any loss or damage by the insured and/ or insured's domestic staff direct or indirect involvement in an attempted burglary, any loss caused by war, wear & tear, and/ or If the property was vacant for more than 30 days without prior notice to the company. Any loss or damage on account of loss of livestock, motor vehicles, pedal cycles, money, securities for money, stamp, bullion, deeds, bonds, bills of exchange, promissory notes, stock or share certificates, business books, manuscripts, documents of any kinds, unless specifically mentioned and valued. Loose precious stones, jewellery or valuables, unless specifically mentioned and valued. Therefore, yearly valuation plays a vital role in home insurance to ensure that claim becomes an easier process!